YouFab2017 has started to accept applications on 8/1. Today, we’d like to introduce you a message from the winners of the First Prize for YouFab2016 last year. The First Prize winner for YouFab2016, “Interfering Floating Bodies” was originally born as an entry for an “art hackathon” for KENPOKU ART 2016, an art festival in Northern Ibaraki Prefecture. 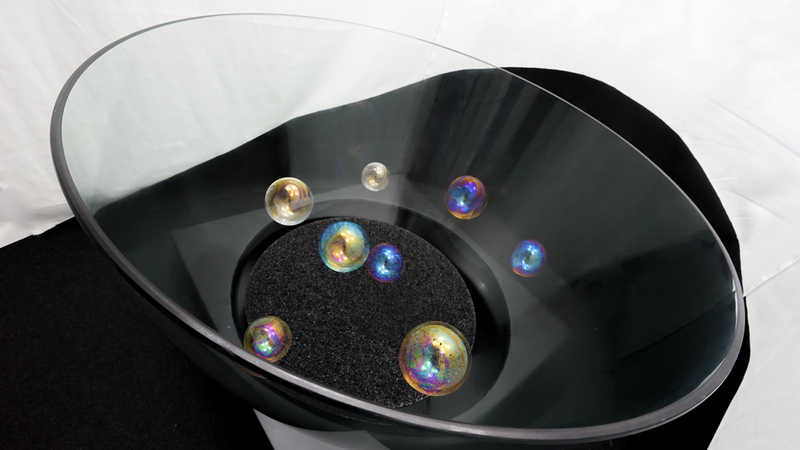 Bubbles falling from above float inside glass bowls, and the sound and light synchronize with the movement and bursting of the soap bubbles. The beauty of the bubbles, their delicate movements, and fragility, from when they are created until they disappear, can be felt from the entire space created by this work of art. First Prize Winner "Interfering Floating Bodies"
Interfering Floating Bodies is a team of 6 professionals from different fields that came together. The list of members follows below. It is precisely because a variety of personalities came together that such a wonderful creation was born. You can look at each member’s portfolio by following the links. We were able to display our work of art a second time in Tokyo after displaying it at the art festival in Ibaraki Prefecture. We were gratified that many people in the general public got to see it at the exhibit for award winners. 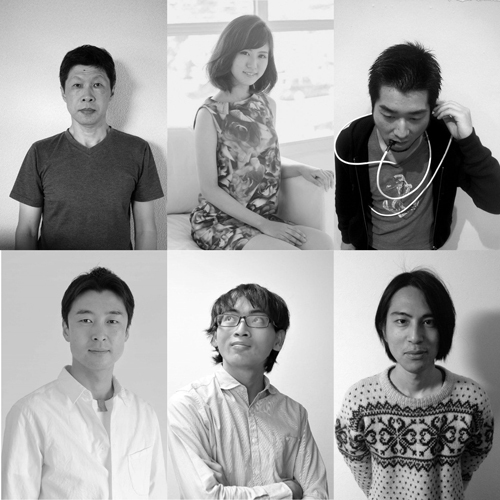 Since YouFab is an international award, winners gathered from home and abroad, and being able to interact with overseas creators left a lasting impression on us. Please give a message to YouFab2017 applicants. The definition of Fab is always changing, along with the times. Even if you have doubts about whether something is Fab, we strongly recommend that you apply. I think each person’s concept of the definition of Fab will make the YouFab of the future broader and more interesting. Let’s liven things up together this year! Even after winning the YouFab award, members of “Team Interfering Floating Bodies” continue their individual activities energetically. YouFab2017 eagerly awaits works created by hackathons, where people from different places and different specialties join forces. As happened in this example, it may give your creation an opportunity to be seen by more people. We look forward to everyone’s applications!